The finished works and works-in-progress shown throughout the book demonstrate what an amazingly wide scope of possibilities there are in printmaking. A 272-page paperback book by Colin Gale and Megan Fishpool. 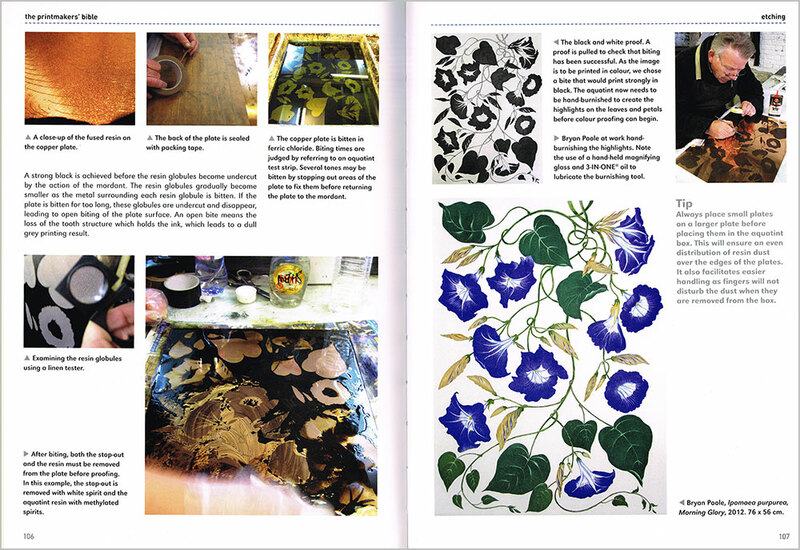 The Printmakers’ Bible is an inspiring guide to all aspects of printmaking, including mixed-media possibilities. 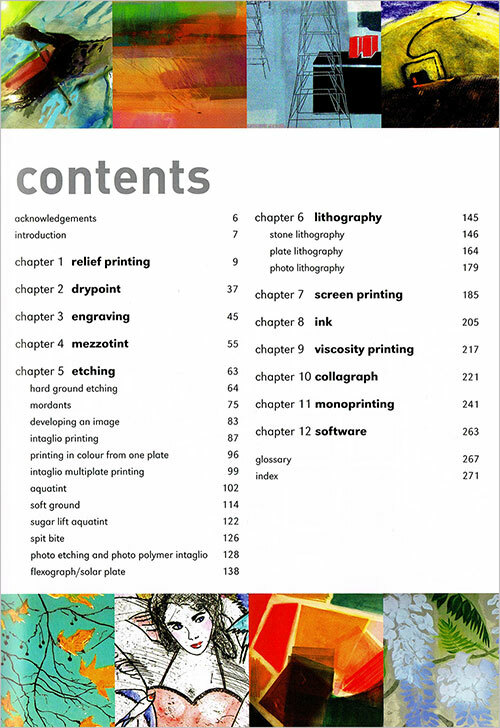 It gives a thorough overview of most printmaking processes, from traditional methods such as lithography, etching and mezzotint, to new experimental techniques such as viscosity printing, photo-aluminium plates and collagraphy. It is a bit like an encyclopaedia with a few pages dedicated to each technique; you will probably need to read a more detailed manual to get complete information about the process you are interested in. The book includes essential information on colour theory, designing and preparing prints, choosing paper, setting up a studio, health and safety, tools, equipment and chemicals. The finished works and works-in-progress shown throughout the book demonstrate what an amazingly wide scope of possibilities there are in printmaking. Colin Gale and Megan Fishpool are experienced printmakers who work at Artichoke Print Workshop, one of the UK’s finest professional printmaking studios. Their work is widely collected and exhibited. Megan Fishpool is an accomplished printmaker and a respected tutor and artist. 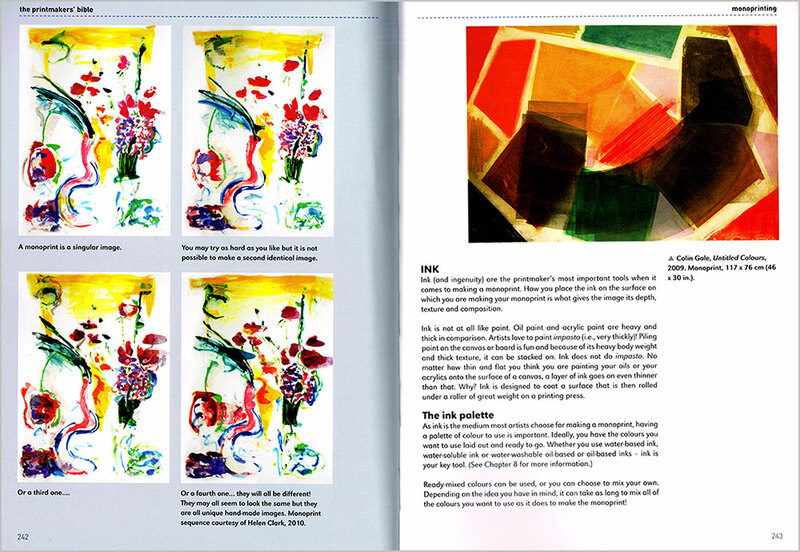 She says her use of colour in making her prints aspires to be both innovative and inspirational. She is the author of Hybrid Prints and has written for several publications including Printmaking Today and Art Business Today. 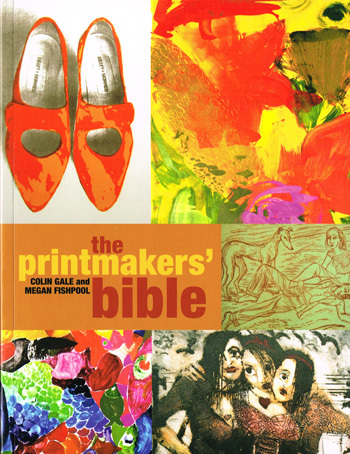 Colin Gale is a well-known artist and printmaker and the founder and co-director of Artichoke Print Workshop, one of the most highly regarded printmaking studios in the UK. 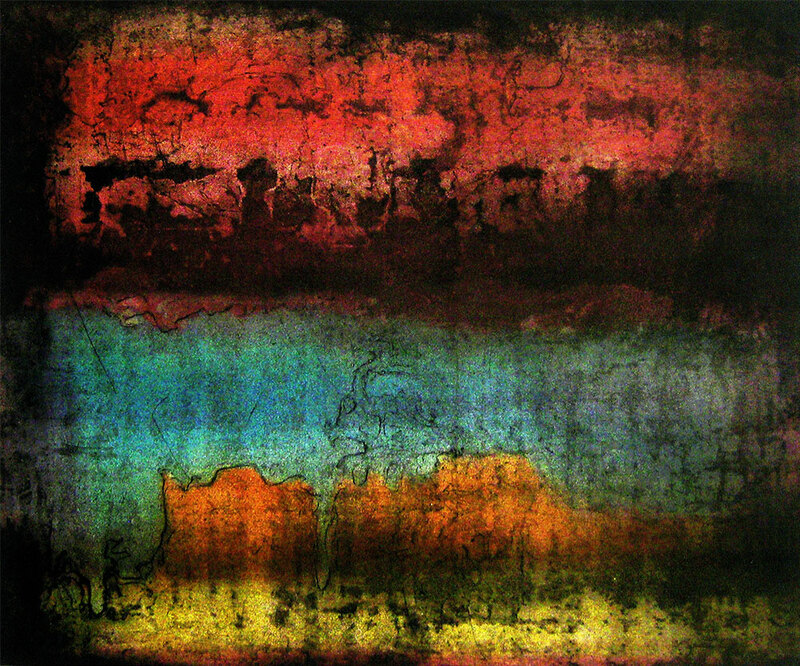 He has written two previous printmaking books: Etching and Photopolymer Intaglio Techniques and Practical Printmaking Techniques. Click on the underlined link to go to the current offer on the book The Printmakers’ Bible on the Jackson’s Art Supplies website.